A world class chef, whose chocolate is well worth a pilgrimage. Just over a year ago I was lucky enough to eat at Midsummer House, Daniel Clifford’s two Michelin starred restaurant on the edge of Midsummer Common in Cambridge. I am currently doing research for a series of articles for Four Magazine, including one on how exciting, informed and adept chefs are getting with chocolate. Looking at the notes of my glorious experience in the hands of one of the UK’s finest chefs it seemed like a good time to share it with you. 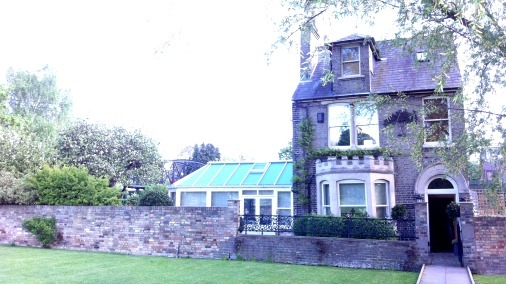 The lovely Midsummer House on the edge of the common. I was not on duty, I was celebrating, and the exquisite meal dancing its perfectly balanced progress in front of me was for pleasure. And what pleasure! My camera stayed inside my bag, my pencil scribbled notes on the menu only to record the differences to my meal from that of my meat-eating companion, for posterity, to remember this special moment together. And then the sweeter end of the meal began, and the food writer in me started to twitch, and eventually could not contain herself. It began with a flourish, involving pousse café layered with maple, egg yolk, whisky and black pepper, designed to slip down in one and combine on the palate. A wild combination that utterly worked, it announced a pastry chef of stunning mastery. Next a baked yoghurt and apple combination hid a nugget of perfect caramel that rewarded the gourmand’s need to eat to the very last morsel. Then a blood orange sorbet was beautifully enhanced with caramel and chocolate brownie, on which caramelized peel and shards of tempered dark chocolate were added for a complimentary fruit and cocoa hit. 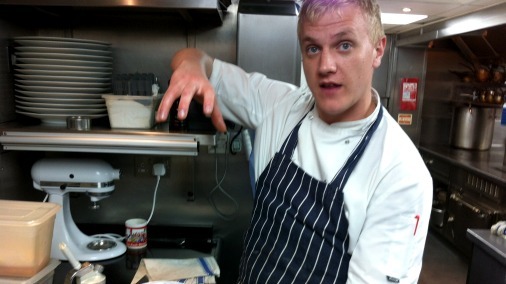 Head Chef Dan explains the chocolate aeration technique. 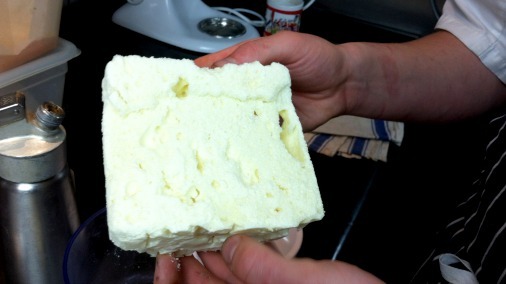 The aerated white chocolate result. 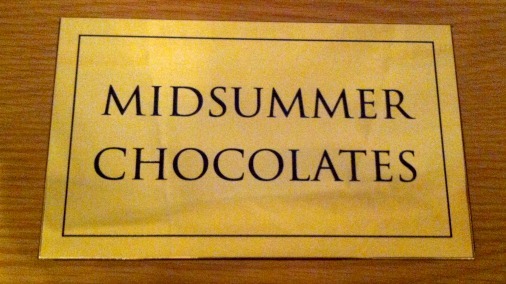 And this was where the chocolate began, and with joy I knew I had more than enough reason to write about Daniel Clifford and his work at Midsummer house. The final dessert was a master-class in white chocolate. The combination of passion-fruit and coconut was quite special. Shards of perfectly toasted coconut, a passion-fruit gel and crisp wafers, topped variously the creamiest of rice puddings and the freshest sorbet, each element the perfect foil for the other. But the work with white chocolate was what lifted this into another stratosphere. A chunk had been tempered and then aerated, to play that elusive trick of melting to nothing on the tongue almost instantly, leaving the vanilla and caramel warmth behind to satisfy. 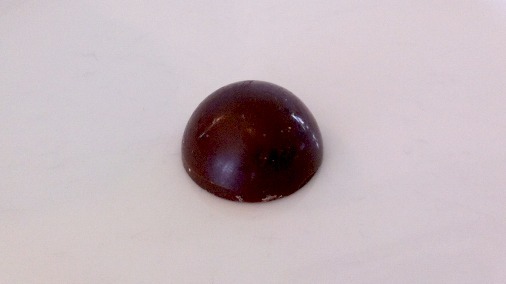 And a crisply coated ball, resembling a small doughnut, was a triumph of crunch and then an unctuous, almost liquid ganache, with another deep hit of those sweet milky caramel notes. Serious haute cuisine chocolate box. The lid was lifted to reveal….. 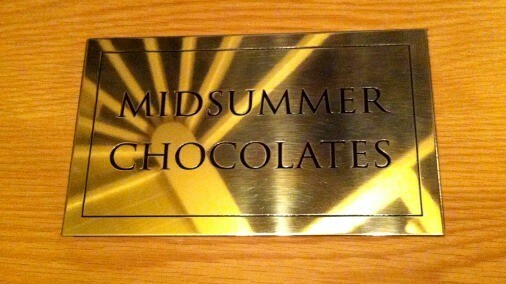 I had spied a giant-sized wooden box with a shiny plaque announcing Midsummer Chocolates when I had arrived. By now I was sure this was going to contain something special. I was right. 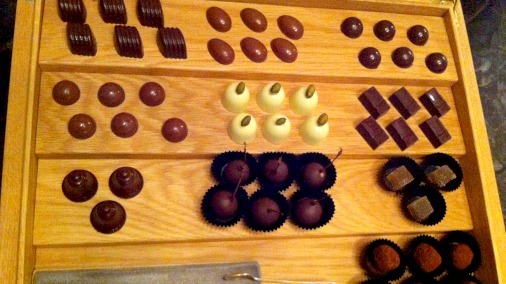 Made in house, the chocolates display the kind of technique, ambition and balancing of flavours that could happily grace an award winning chocolatier. Indeed I found the experimentation with inclusions as interesting as some of the top chocolatiers I am fortunate enough to judge, especially in their use of herbs. 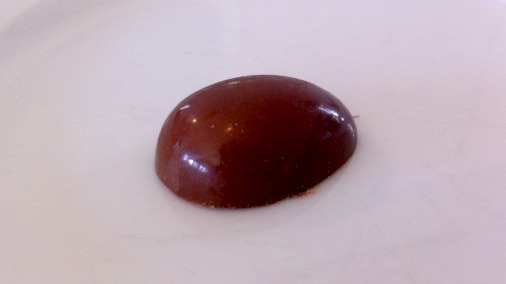 A tarragon ganache and a bayleaf stood out from very good company. The wonderful white chocolate ball starts its journey. Step two: bringing each ball up to temperature and perfecting the shape. At this point I gave up all pretence of cool, and it wasn’t long before I was in the kitchen watching a demonstration of the technique that went into that glorious white chocolate ball. By freezing a ganache, rolled in toasted coconut, it is ensured it is firm enough to work with. 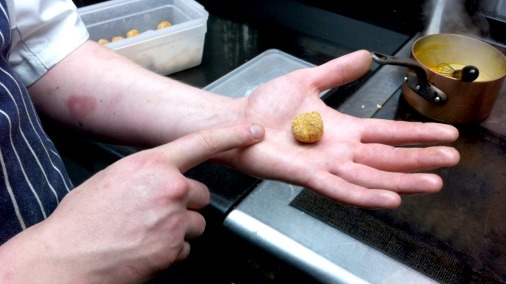 The ball can then be coated with a crisp outer shell by melting and reforming discs of a white chocolate casing to its surface in two stages. Each ball is individually handled just to the point it is soft enough to encase smoothly, given its shell, and then left to come up to room temperature, by which time the interior is molten heaven. The box of chocolates, at Midsummer House an extraordinarily fine finish to what is a meal to be savoured, lived fully, and remembered later, deserves to have attention drawn to it. I am sure in many cases the excellence and abundance of what has come before leaves many with little room for it. 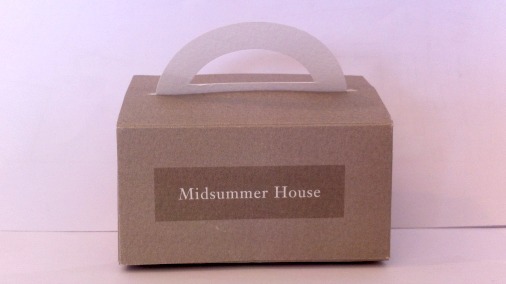 But Midsummer House are generous enough to allow you to select and take your chocolates home (in delightful little dove grey boxes) if you can’t manage them there and then. So for those who are lucky enough to score one of those boxes, have room to do them justice at a meal, or are interested in picking a restaurant whose chocolate wont disappoint, here are my notes on some of their selection of chocolates. I got more to take home to review, as you can bet I ate mine on the night! Featured flavours change, and Head Chef Dan tells me they vary what they make and play around with new flavours all the time. So it will be a surprise what you find when that box of magic is opened for you. 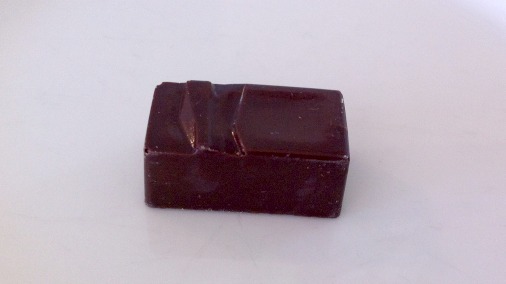 Dark chocolate and tarragon, a stunning combination. Tarragon: A stunningly smooth dark ganache in a fine dark chocolate shell, whose aroma and taste are infused by bright, green, herby notes of fresh tarragon. The leafy herb beautifully compliments the fruit in the cacao, bringing it delightfully alive. Passion Fruit: A milk chocolate ganache with tremendous freshness and zing that mellows into the caramel notes of the milk chocolate. A sweet and fruity pleasure. Simple, perfect, fresh mint ganache. Mint: This dark ganache has an instant burst of fresh mint leaves, that is joined by mellow cocoa as the flavour progresses and the chocolates melts in your mouth. 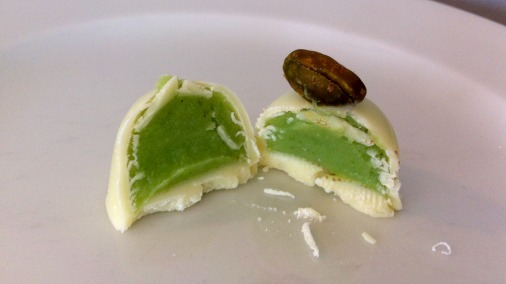 Pistachio: An ultra smooth white chocolate is made into something delicious by the addition of a marzipan-like centre of pistachio, sweet and soft. The whole is given oomph and greenness by the delicious toasted pistachio sitting atop. 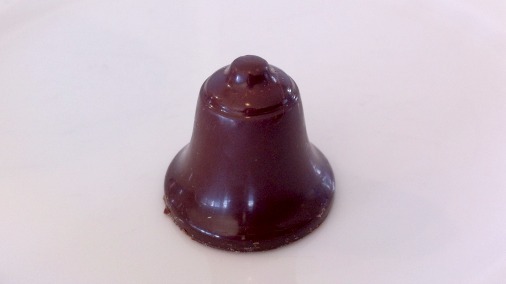 Bayleaf: Another triumphant use of herbs in this dark ganache. 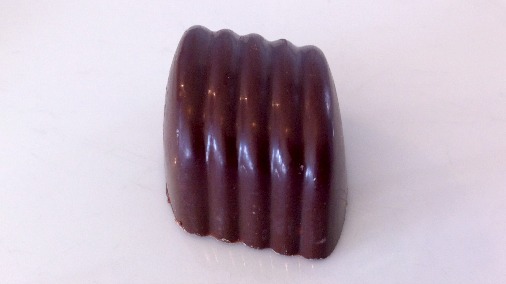 The earthy warmth of bay is much in evidence and a stunningly good match with an easy-to-like dark couverture, deep and smooth, with no bitterness. The lovely result is richly honeyed and floral. Coffee: This is a surprise, with no bitterness and lots of fruit. A very smooth ganache and a great pairing of a light coffee with the cacao, giving a bright lift to the sweet caramel tones of the dark chocolate.